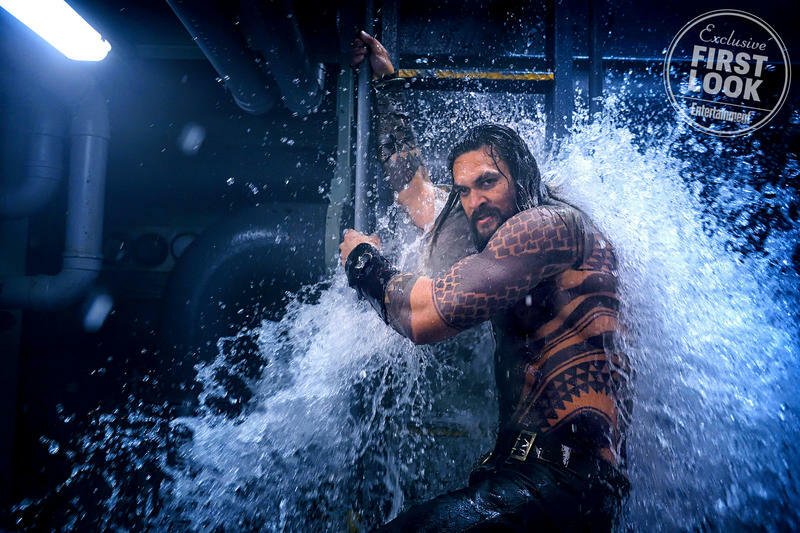 As Warner Bros. revs up for the release of Aquaman, it has managed to keep most of its characters under wraps. That includes Queen Atlanna, Ocean Master, Nuidis Vulko and the mysterious Black Manta, but that is changing with the most recent cover from Den of Geeks, which gives us a closer look at many of these characters for the first time. 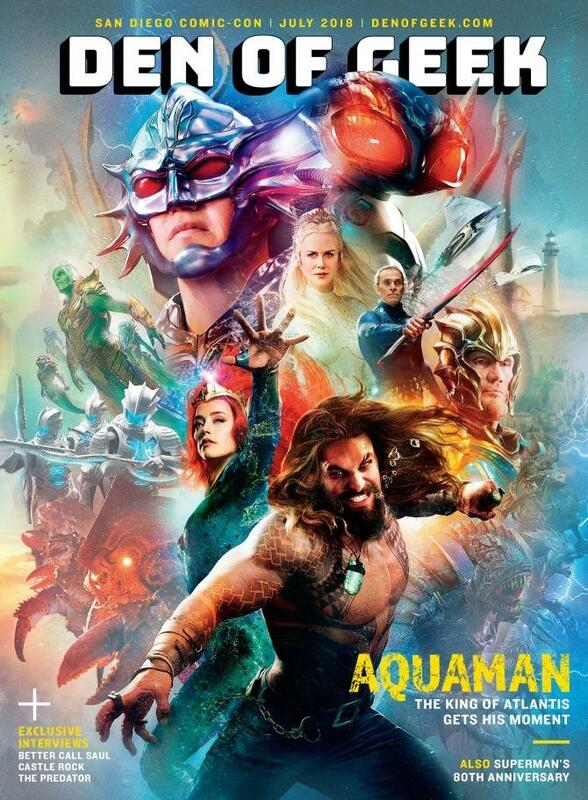 The centerfold of the cover is occupied by none other than Aquaman, who is flanked by Mera (Amber Heard) and Queen Atlanna (Nicole Kidman). We’ve had a good glimpse at those characters before, but the rest of the major characters are completely new. Let’s start with Nuidis Vulko, who is portrayed by Willem Dafoe. His first look doesn’t offer much of the character, only seen holding a sword. 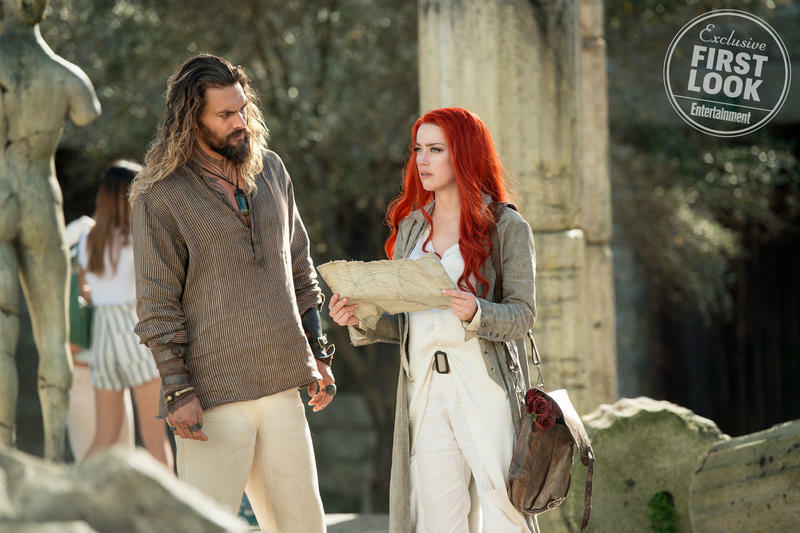 In the comics, he is heavily involved with the history and politics of Atlantis and eventually befriends Aquaman and becomes an agent for him. Though we’ve seen an early look of David Kane (Yahya Abdule-Manteen II) looking at his Black Manta helmet, this is the first time we’ve seen him in action state. Like the rest of the characters, it’s not much to go on but we do get a look at his helmet and suit. 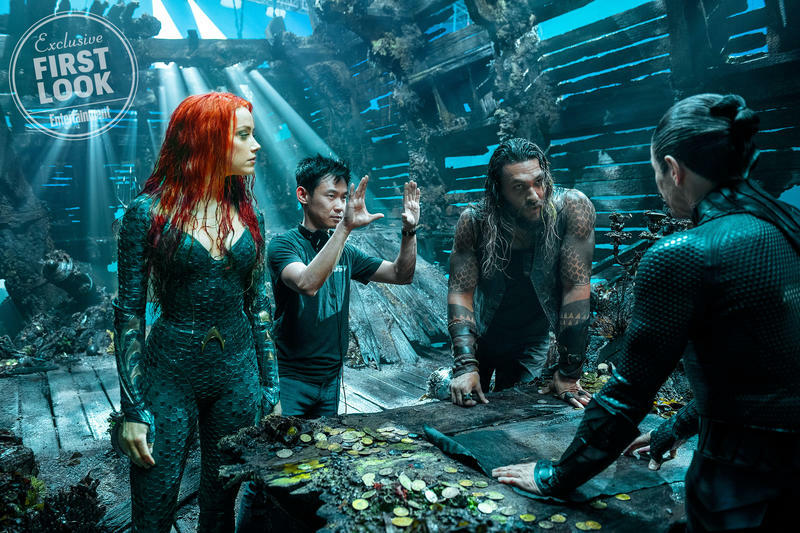 Right to side of them is King Nereus (Dolph Lundgren) who responsible for Aquaman’s exile. Last but not least is our first look at Patrick Wilson’s Ocean Master. Though Black Manta will be a villain in the movie, it seems Ocean Master will be Aquaman’s biggest adversary. In the comics he is Aquaman’s half brother Orm Curry until he becomes Ocean Master and tries to overthrow him to gain control over Atlantis. These are the four major characters we know the least about but the poster is still outlayed with various other characters, including the Fisherman King. 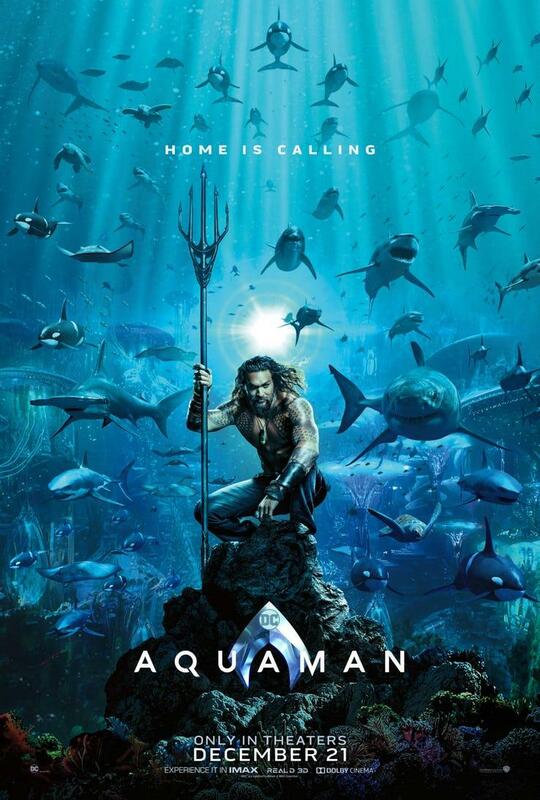 Aquaman will have a big presence at Comic Con and is to be accompanied by the premiere of the first trailer for the movie. That will hopefully give us more information about the plot and some of these characters we’re just seeing for the first time.